Fort Lauderdale is booming with development. It’s become a city of choice for savvy investors both commercial and residential. Once known as the mecca for spring break and teenage beach movies. Think, Where The Boys Are with Connie Frances and Girl Happy starring Elvis Presley. Fort Lauderdale has grown up. We have significant luxury development both in residential and hospitality underway. The residential component has a high-level of amenities, service and finishes in beautiful ocean front locations. On the hospitality side, the Four Seasons is building a beautiful property and there was a $150 million renovation at the W Fort Lauderdale, Morejon adds. To satisfy the increasing residential base, Morejon points to over 1,000 restaurant seats coming on line over the next several months on Las Olas, Fort Lauderdale’s dining, shopping and entertainment destination for tourists and residents alike. Las Olos (Spanish for waves) Boulevard is our crown jewel connecting the beach and downtown core. The privately-owned Brightline, an electric high-speed train, inaugurated service between Fort Lauderdale and West Palm Beach in January. Morjon sees this as another game changer for Fort Lauderdale when the Brightline extends from Miami to West Palm Beach with a stop in Ft. Lauderdale. Finding cheaper dirt in Fort Lauderdale is The Related Group, a major South Florida developer. The Related Group has developed luxury condominiums since 1979. Today the company is betting on Fort Lauderdale’s rapidly growing luxury branded residential condominium market. 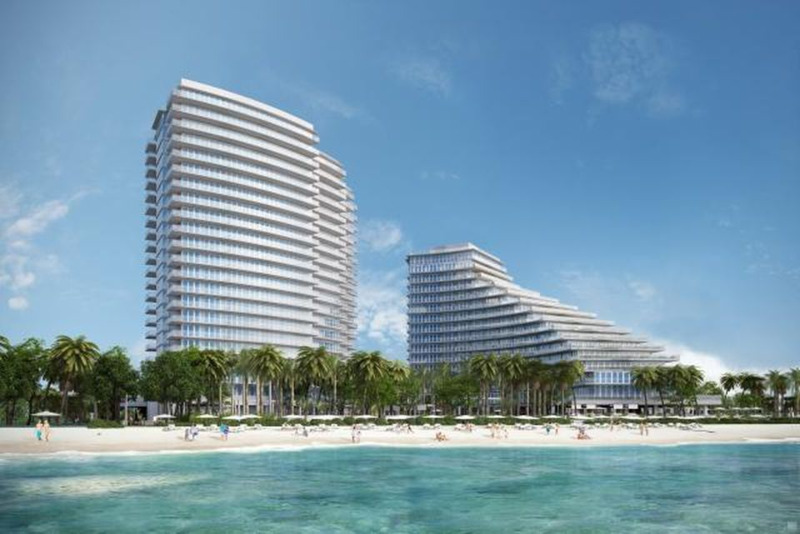 The Related Group is developing the two-tower Auberge Beach Residences & Spa, a luxury branded beachfront condominium part of the Auberge Resort Collection. 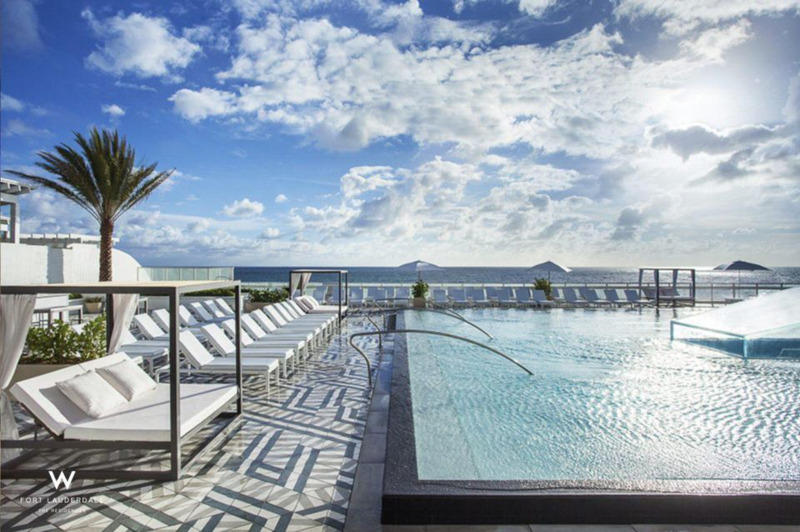 Fronting the Atlantic, amenities include signature Auberge dining, World-Class Spa by Auberge, private elevators, wine room, cigar lounge and Fitness Center with views of the Atlantic. Currently Auberge’s North Tower is 90% sold and 75% of the South Tower sold. According to The Related Group, Auberge Beach Residences & Spa set a Fort Lauderdale’s sales record in 2017 for the highest condo sale at $9.5 million. Prices range from $1.5 million to $9.9 million. This is a signature property and there is nothing like it right on the ocean sitting on five contiguous acres. Our sales show demand is there for the project and product. We didn’t know what to expect and went with a smaller tower first, explains Patrick Campbell, Vice president at The Related Group. The oceanfront W Residences Fort Lauderdale are also selling briskly. The 171 residences with prices starting in the $900,000’s is proving to be the right product for the market. With over 100 units sold to date, buyers are excited. Residents at the W will have access to all W Fort Lauderdale hotel amenities with resident signing privileges for convenience. In addition, they receive dining, room and spa discounts at W Fort Lauderdale. Owners also have the option to place their home in the W’s rental pool. Who is buying in Fort Lauderdale? The Fort Lauderdale buyer is very different than Miami. About 75% of our buyers either have a tie to the area versus Miami where many buyers are investors or from South America, Campbell observes. Eric Johnston of New Jersey chose the W Residences Fort Lauderdale for his fourth home, buying a two-bedroom two-bath unit in December. Miami did not have what I wanted. The location to the airport, the weather and the W product is what attracted me. I actually would have bought a larger unit if they had one. Craig Studnicky, principal of International Sales Group, (ISG) has over 25 years of experience in the South Florida residential market. Fort Lauderdale has always been compared to Miami Beach, but now its value in terms of price per square foot is at an all-time high. From 1990 to 2010, the annual difference in price per square footage between these two destinations was roughly 25 percent. In May 2016, this difference jumped to 261 percent due to the slew of new inventory. This means that a buyer can get the same ocean views, amenities, finishes and services in Fort Lauderdale but at almost half the price. Fort Lauderdale’s retail market is thriving with over 2.6 million square feet of commercial real estate either completed, under construction or approved since 2012. As a vacation destination and national cruise hub, total visitors through Fort Lauderdale-Hollywood International Airport rose from 11.3% in 2016 to 32.5 million in 2017. In addition, JetBlue, Southwest and Emirates have launched new routes within the past year to and from Fort Lauderdale expanding the potential visitor market and as an added boost to area residents for business and leisure travel. William Hardin, PhD, Professor of Finance and Real Estate and Director of the Hollo School of Real Estate at Florida International University in Miami explains market dynamics. 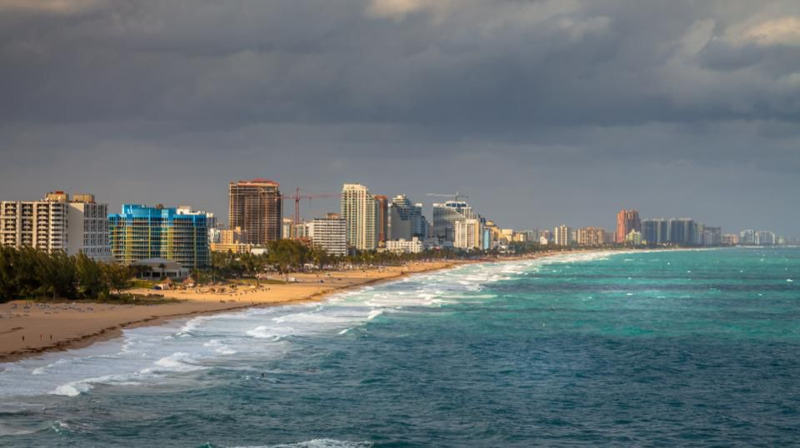 Fort Lauderdale offers relative value compared to Miami. There is good luxury product there now that appeals to the buyer wanting a different pace than Miami.